Invite the Full-Time or the Ward Missionaries to come and do sharing Time. Give the primary children some scripture references or invite them to come up with their own (their favorite scripture or scripture story). Give each child a piece of paper and invite them to write their testimony of the scriptures on the piece of paper. Give these to the full time missionaries to put in Book of Mormons to handout to investigators. Invite the Bishopric to come and tell a scripture story to the primary children. LDS Sharing Time August 2014 Week 3: Scripture study gives me and my family spiritual strength. 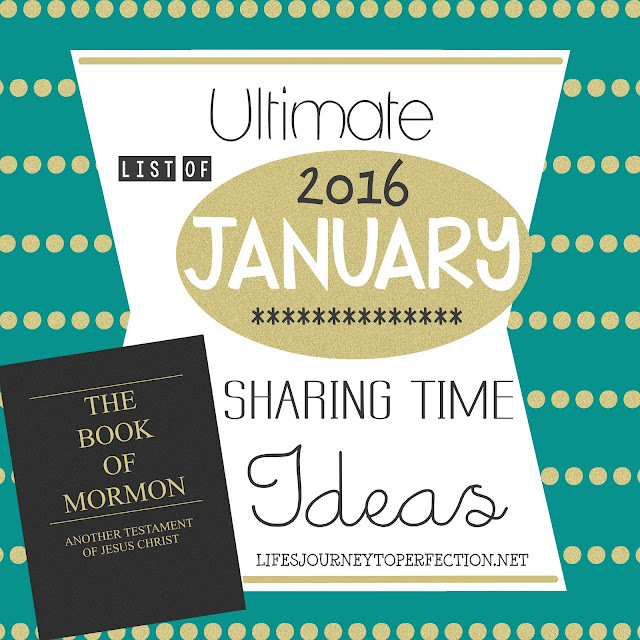 2016 LDS Sharing Time Ideas For February Week 1: Heavenly Father has a plan for me. 2016 LDS Sharing Time Ideas for February Week 2: Jesus Christ created the earth for me. Great ideas. These primary kids don't know how good they have it! Thanks for these great ideas! I miss primary. Your website is always the first place I check when looking for sharing time ideas!! Thank you! Thank you so much for sharing your incredible talents. I love everything that you post, and know you are truly inspired. You make my life so much easier! Thank you for all your hard work! You are amazing! Thank you for sharing your ideas and creativity. You make my Sharing Time so much better! Thank you! Great ideas...as always! I am looking for Sharing Time ideas for May 2016. Any help available yet?